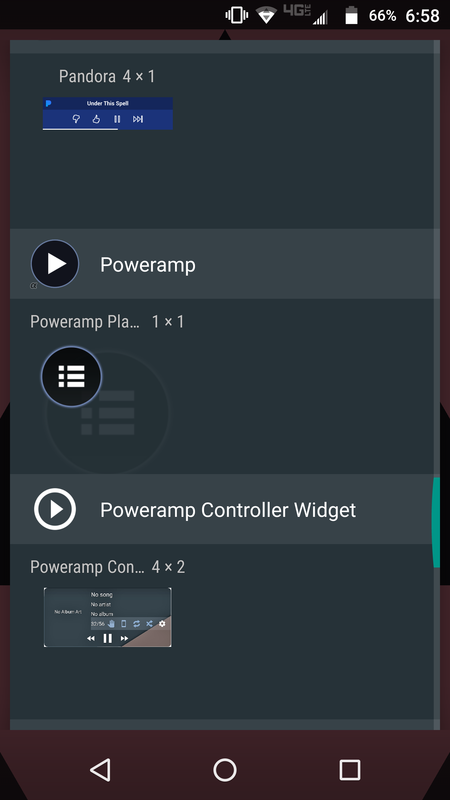 After updating from v2 to the v3 beta the existing Poweramp widget on my home screen was there, but unfortunately after having to factory reset my phone I re-downloaded the beta version of the app and now there isn't an option to create a widget other than the playlist widget. I have a Droid Turbo 2 running android 7.0. The "Poweramp controller widget" in the picture is a 3rd party app I downloaded. The player widgets are there for me on a clean install of 704. I found the solution, it's because you moved Poweramp to external sd card, you need to move it back to internal storage to use player widget. Thanks, that makes sense. Wish I would've known this two years ago.